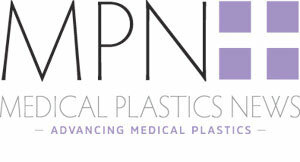 Medical tubing firm Putnam Plastics has expanded its product portfolio to include RilSlix coated mandrel and wires. The new products incorporate a surface chemistry that has been optimised for use as a processing aid in catheter manufacturing and employ fluoropolymer coatings, including the RilSlix coating. All coatings are compatible with discrete, tapered and continuous wire. The RilSlix compounds have been designed with PFOA free, REACH compliant materials. The RilSlix technology also offers durability which enables wires/mandrels to be used repeatedly without flaking. Discrete mandrel and continuous wire coating is compatible with a variety of metals including, but not limited to, stainless steel, silver plated copper, and Nitinol in diameters ranging from 0.010in. to over 0.500in. (0.254mm to 12.7mm).